As a kid who grew up obsessed with Sim City 2000, it’s still strange to think of anything other than the Maxis series dominating the city simulation genre. However Cities Skylines is simply a masterpiece of a simulator, deftly walking the line between accessibility and complexity to allow everyone to create a beautiful metropolis. 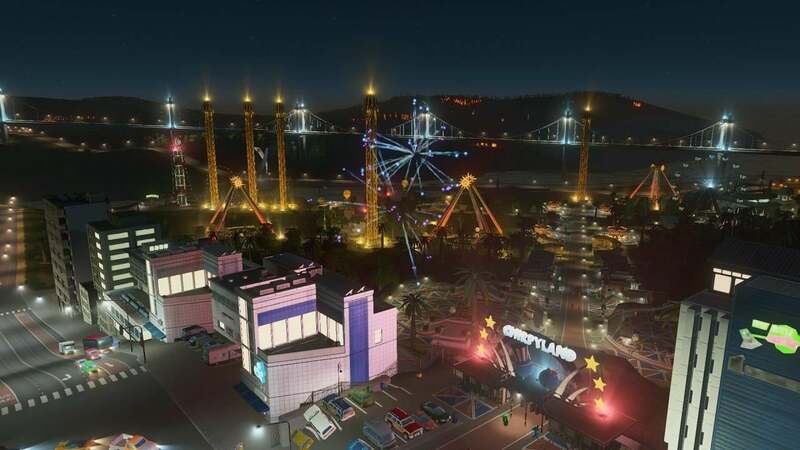 The core game of Cities Skylines is so robust that it is sustaining a constant stream of gameplay updates via Season Passes and purchasable content, and Parklife is simply the latest evolution in a long list. While this particular pack doesn’t add enough mechanically to fully justify itself, it’s still a competent DLC that gives something of an excuse to return and see how amazing the core experience still feels several years on. Where Natural Disasters and Green Cities felt like they brought a sense of reality and vulnerability to our precious cities, Parklife is mostly a mixed bag of aesthetic assets that allow players to design recreational spaces in a more granular fashion. Rather than set down a pre-fabricated park of minimal size, Parklife allows players to zone out an area as a park space and then build a park road by road, attraction by attraction, tree by tree. Players can set the price on the gates, lay out all the concessions, amenities and attractions, and get creative with the shape and size of the park – likely attractive to those dedicated players that want to accurately depict real-world parks like Hyde and Central. The problem is that even with Cities’ impressive level of granularity and the extra microscopic dimension that Parklife gives to recreational spaces, it can only go so far – and Parklife reveals its limitations far too early in the process. You may be able to zone out your Park area, but the building options within each Park type are sorely limited. 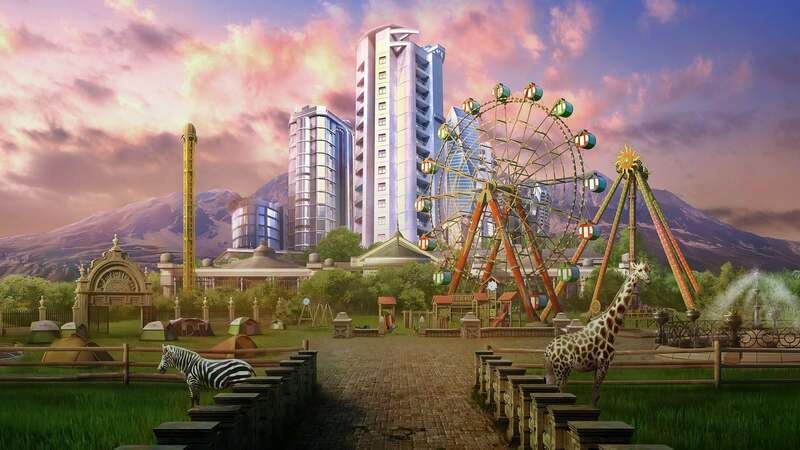 Of course it would be far too much to ask the Amusement Park to offer the same level of building variety as RollerCoaster Tycoon, or the Zoo type to offer the mechanics of Zoo Tycoon. But then the question remains – why not play those games to get your fix of running a park, rather than these simplistic versions? The basic park levels aren't particularly pretty or interesting. Nowhere is this clearer than in the Parks’ levelling systems. To level up your park, you simply need to have a relative “value” for the park space that meets a requirement, and a total footfall that meets a requirement. In other words, despite the complexity of the park one might have designed, its success boils down to the same basic metrics that measure the success of any standard block of real estate. You can switch on some park-specific policies if you like, but the relative value of doing so is minimal compared to the hundreds of other switches, dials and services available in the larger game. Unlike Natural Disasters and Green Cities, a player’s actions in using the Parks systems have minimal impact on the rest of the cities’ well-being in the long term. There might be spikes in traffic at the entrance, and it might change the overall tourist attractiveness, but really these are things that could also be achieved by just dumping tonnes of the game’s original recreational spaces across the map. This is really an update that is just about making things prettier, and the individual park attraction objects aren’t particularly pretty anyway. It’s nice to have Bus and Walking Tours available as traffic routes, making the funnelling of your tourism industry more dynamic – as always, Cities excels when it comes to traffic flow. However this is a small feature that doesn’t quite justify the rest of the package. It is nice to see your citizens blow off a little steam, at least. 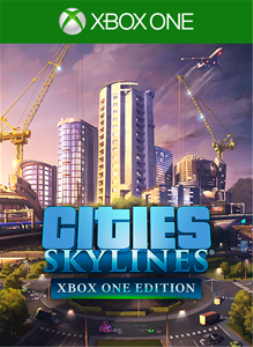 As always with Cities, this issue is compounded by some sluggishness and glitchiness on the home console version of the game. Some of this might get patched out, but it’s a shame to still be fighting to get basic controls to work on the console, presumably suffering under the sheer bulk of competing systems and functions added by two years of DLC. One saving grace is the slight redesign of the main toolbar with the addition of yet another category of management. In a wise and perhaps necessary move, some of the older categories have been merged into single tabs on the main menu. Fire and Police have been rolled into one area, as have Health and Education. Water, Electricity and Waste have all been moved under one tab, which makes a lot of sense as most builders are likely to need to update all three aspects of their city every time they make a significant expansion. It’s not all doom and gloom. Much like Minecraft, there is an audience playing Cities that cares less about min-maxing and gamifying the mechanics on offer. They’re more interested in making the most beautiful or creative cities possible, or near-perfect facsimiles of existing areas. 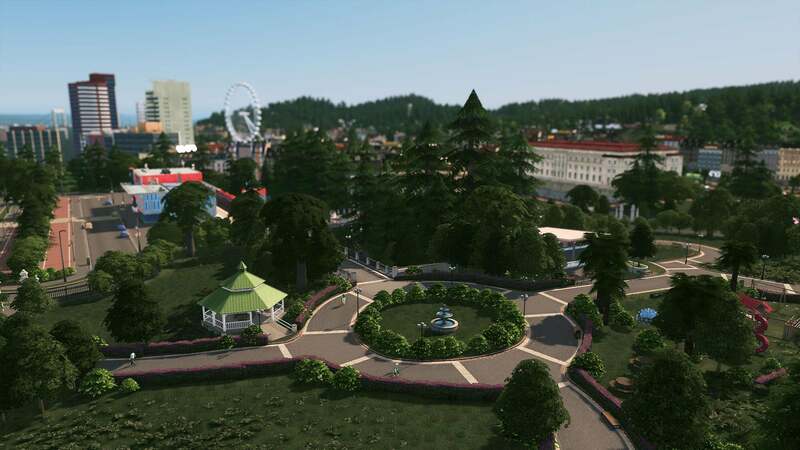 Parklife’s individual buildings might be a little simplistic, but the fact that players can properly shape a park or a zoo space definitely makes it easier to create cities with dynamic and interesting green spaces. It never made much sense to have identi-kit Plazas and Small Parks dotted around what should be a diverse and evolving collection of humanity. 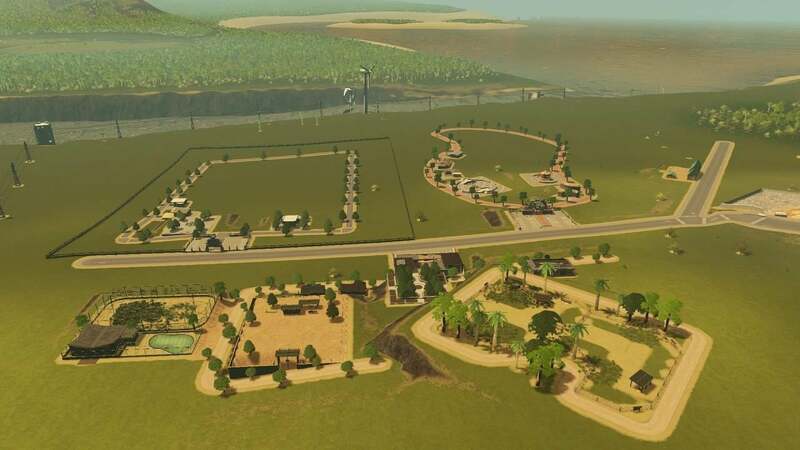 The Park crafting system allows for recreational spaces that both reflect the natural course of the land and the chaotic course of human expansion — this idea is further expressed by the fact that your Amusement Parks, your Zoos and your Nature Reserves can intersect via walking paths into a grand natural resort. It really does make a lot of difference to see a sprawling green space in the middle of a metropolis, and to have the ability to carve out man-made paths through it just like our city-planning ancestors must have done in our most famous parks. Achievements weren’t available at the time of reviewing, but thanks to a quick chat with the developers we know that they are on the way and that it will be similar if not identical to the list on PS4 and Steam. That means accessing the basic mechanics on offer in Parklife and building plenty of new buildings. There aren’t new scenarios to tackle in this new update which is a real missed opportunity – but then with so few significant mechanics at play, maybe a scenario simply wouldn’t be exciting enough. There’s a handful of new maps that are at least topographically interesting, with Honu Island and Cavern Coast offering interesting opportunities to go after the tourism-related grinds of the base game, like the Playing With the Boys achievement. This game was featured in our Best Xbox One Simulation Games Available in 2019 article. Why not check it out to see what else made the cut? Cities Skylines is an essential metropolitan simulator, but some of its DLCs aren’t all that necessary. Parklife might be the least essential of the major updates so far. Its mechanics don’t impact or benefit the systems of the main game enough, and individual building objects aren’t attractive either. However the ability to shape a park space on both a larger and smaller scale does make cities feel more alive, more lived in and more like mankind has carved a space into the natural landscape. Die-hard fans of the game will jump at the chance to fine-tune and beautify their creations, but the casual city planner probably won’t find enough here to be worth the investment. The reviewer played 4 hours of Cities Skylines with the Parklife DLC integrated, eventually earning 4 of the DLC's 8 achievements. An Xbox One digital code was provided for the purposes of the review.